We have a community of passionate Partners who know the product inside out. With their expert advice and local support you can be running Stellar products in no time! If there are no partners in your area, don't worry. Contact us, and we'll provide you with the sales and assistance. We specialise in happy customers and healthy computers, and that’s what we do. Whatever your problem, we can help, from PCs to Notebooks, Printers to Networks, Servers to Wireless. If it’s ICT, we can fix it. 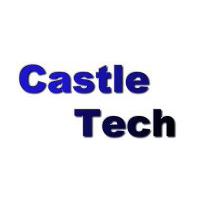 Castle Technology (or Castle Tech) is a small Newcastle based business servicing the needs of local homes and business computer users since 1999. Providing a Call-Out service covering the local area around Newcastle, from Toronto to Wallsend and Swansea to Mayfield. We pride ourselves in being not only affordable but also professional. We deliver comprehensive suite of IT services to small and medium-sized businesses in wider Homebush area. Our customers can lower their IT costs, increase productivity and gain peace of mind knowing their IT is in trusted hands. We provide complete Hardware and Software sales and support to any scale, from Individual to Small Business to Enterprise. We also have one of the largest support teams in Toowoomba. Long established Computer Services business located in the Business Growth Centre. We specialise with Home and Small Business Clients. Computer Service Center repairing all computer brands including PC’s, Apple Mac’s laptops & desktops. A locally owned computer repair, I.T. Support and computer services provider. Offering a wide range of services including computer repairs, parts, software & solutions for home and business. Small & Medium Business Specialists offering On-Site & Remote Support, networking and maintenance. Located near the train station in the heart of Chatswood, we have been in the PC business for more 10 years now. Offering comprehensive selection of PC related products at competitive prices, we also specialise in building custom PCs and general computer repairs for PCs and laptops. Intel Gold Partner, Microsoft Partner Program, Networking, new Pc’s and Notebooks. Operating at Pittsworth since 1998. Locally owned servicing both home and small business clients. Your one stop shop for all of your computing needs. Nerds 2 You is a Perth-based onsite computer repair business that assists home and small business operators with all types of computer & technology related problems. We have over a decade of experience in fixing and supporting all types of computers & technology problems. NIC Computers and Networking offers IT services to both business and home users. Our business services include: server supply, install and maintenance, network services, printer setup, UPS, data backup. For home users we offer virus removal, security protections and supply of IT hardware. Servicing the Mornington Peninsula and beyond for almost 15 years, we offer a full range of IT Services & Sales from Data Recovery, to new equipment, servicing and repairs, to remote management and on-site services. We deliver comprehensive suite of IT services to small and medium-sized businesses in wider Port Macquarie area. Our customers can lower their IT costs, increase productivity and gain peace of mind knowing their IT is in trusted hands. One of the functions of Results CRM is assisting in the implementation of business processes. To achieve maximum benefits from using technology is making it work for your specific needs, be that as an individual, an organisation, or both.